You want gorgeous, soft skin. You can achieve this chicas, and chicos without spending hundreds of dollars on foundations, and cover ups. The key is establishing a great skin care regime, and letting your skin breath. After cleansing your skin, and before moisturizing, I highly recommend using a masque. All skin types can benefit from this type of treatment. Do you have tight, dry itchy skin? Prone to blackheads? Are your pores the size of the moon? 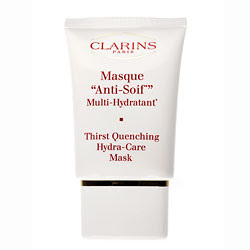 There is a masque out there for you! Face mask is very nourishing. After applying a facial mask, you will feel fresh and people will notice your much younger looking face. Don't believe me? Do a skin test on one hand. Leave the mask on for five minutes. Once it is removed, compare it to your other hand. Do you see the difference? Amazing isn't it? Here are my tips for finding your appropriate masque, and achieving the skin you want. Always test the mask, particularly if you have a sensitive skin. Apply a small amount behind your ear or inside of the elbow, wait for at least 30 minutes, then wash off. If there is no adverse reaction in the next 24 hours, then only apply the mask on your face. Rinse mask thoroughly with warm water followed with cold water. Don't apply masks more than twice a week. When applying a face mask, you should try to avoid area around your eyes and lips. Vary the ingredients to see their effects on your skin. If you have combination skin, you may apply a mud mask only over the T-zone, i.e. the center of cheeks, nose, center of forehead. and chin. If you like, before applying the mask, hold your head over a warm pot of water. Not too close! You don't want to burn yourself. By steaming your skin, you are opening your pores, and getting your skin ready for maximum absorption. When I steam my skin, I like to also add a few drops of Lavendar essential oil by Elemis to the pot of water. Take a small amount of the mask on the tips of your fingers and apply it over your face and neck using a circular motion of your fingers. Start with your chin, move upwards and then outwards. Spread a thin and even coating. Leave mask to dry for at least 30 minutes. Do not use a dryer to dry it. Let it for air dry. You will feel as if your skin has tightened when the mask is dry. Splash water on your face and give gentle massage strokes on your face to remove the mask. Gel mask: Peel off from the forehead moving down. Mud mask: Dip a cloth in hot water and use it to remove the mask slowly. Pat face dry with a towel. Moisturizing or replenishing mask: Wipe off with a soft tissue paper. Follow up with your moisturizer, and let your skin breath. No foundation, no powder! Your skin may break out after. This is normal. You have pulled all the "gook" from underneath, and now your skin is healing, and renewing itself. So what masques do I recommend? Below you will find products I love, that are tried, and true! Origins Clear Improvement Masque! AMAAAAAAAAAZING. 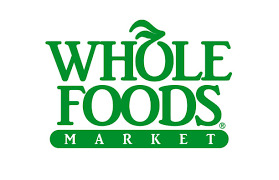 Ask for a sample from an associate at the department store. This detoxifies, minimizes pores, moisturizes, and helps to fade dark spots. Great for oily, acne prone skin. If you have normal skin, this is great for a once a month cleaning. Don't forget to steam first! Is your skin dry, and in need of a big glass of water? Try this Hydra-Care Masque. Key word: HYDRA. Apply this masque after cleansing, and before moisturizing. I personally recommend sleeping with this on overnight, and removing in the morning. Hydrating the skin is so important if you are looking to keep fine lines at bay, dry patches, and the like. 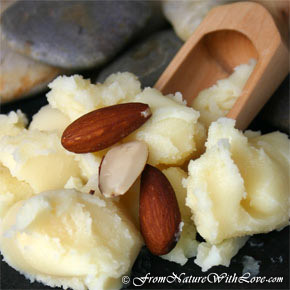 In just about 5-10 minutes, your skin will feel refreshed, more resillient, and moisturized. Great for older skins that need a boost. Don't forget your body! Applying a masque to your back, feet, and legs promotes excellent circulation, supple healthy skin, and clarity to the skin. I looooooove . Trust me. 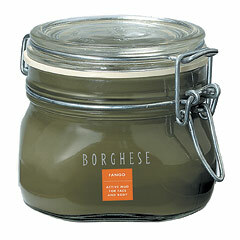 You will feel like you are at a spa with this mud masque imported from Italy. Well, that is all my darlings.. Hopefully you will find a masque that is great for you! E-mail me, and tell me about it! Please note: If you are getting ready for a special event, stop using a masque two weeks before so as to keep skin irritations at bay. I had the pleasure of working as the lead hair, and make-up artist for the photographer Eric Wagner recently. He is a local commercial photographer that shoots celebrity clients, model portfolios, and the like. (www.illuminationphoto.com) Our model subject was the lovely Erica. She is thirteen years old, and has dreams of being an actress in addition to a pro volley ball player. She arrived to the shoot fresh faced with her adoring mother. She wore a cute Ed Hardy designer hoody, fitted leggings, and converse shoes. Our music of choice was, 'Little Jackie', who sings the hilarious song, 'The World Should Evolve Around Me'. Erica is signed with the modeling agency Heyman Talent, so the look we were going for was fresh, clean, and gorgeous make-up. I wouldn't be surprised if we see her on television soon. So beautiful... For this look, I applied thick black false lashes to give a real glamour look. I kept her make-up fresh, clean, and age appropriate. She really reminds me of a young Paula Patton. Would you like to achieve this look? To keep the look soft, and natural, I used a tinted moisturizer in Clarins. 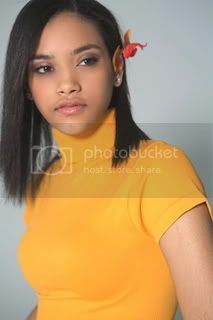 The color on model Erica was 'Bisque'. A cream blush moisturizer keeps the skin fresh, and dewy. I used Trish Mcevoy in, 'Models Choice'. I used Cover Girl cream eyeshadow in mauve. These are great as they do not crease, and are very natural looking. 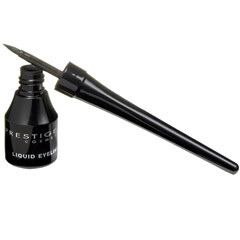 Top it off with two coats of black mascara, and a clear lip gloss in Mac Lip Glass. Your all set! On Sunday February 22nd, I got married. 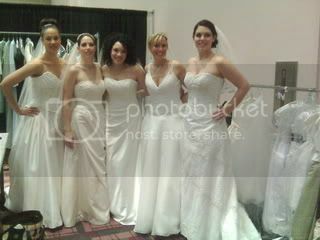 Well, sort of ;) I was the head make-up artist for the Columbus Bridal Expo. In addition to doing the models makeup, I actually modeled in the fashion show. As you can imagine, it wasn't difficult to get dressed up in gorgeous couture gowns, by Alan Ray bridal and strut my stuff on the runway. Here I am with some of the models backstage. Here is one of my favorite gowns I wore. Isn't it lovely? Each model had a touch of Victorias Secret Supermodel shimmer. It is very subtle, and the scent is purely decadent. Smoky eyes, and sultry lips were the makeup of choice. Mac lashes gave them that extra va-va-va voom. What a great time it was! Do you remember that old song by Martin Dean? The 'Birds and the Bees'.. As I got ready to go into todays product rave, I thought of that song! Ha! Now then.. 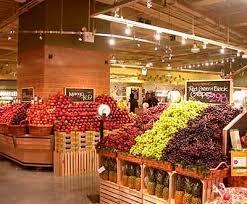 There is a natural line of products called, 'Burts Bees' that I absolutely love. You can find it at your local grocery store, health food store, or Tarjaaaaay (Target). They are very reasonably priced, and they are good for you!! Email me, and tell me which product YOU love! Occasionally, I will feel so inspired by a model, that you will find her here, on my blog. That goes for the lovely Brittany D. I had the pleasure of working with her, and Red Gallery Photography (www.redgalleryphoto.com) on her modeling photo shoot. She recently was signed to one of the top agencies in Ohio. Yay!!!! Red Gallery shoots primarily weddings, but they have a strong background in fashion as you can see :) Brittany was absolutely a gem to work with, and Red Gallery, simply AMAZING! Brittany arrived to the shoot relaxed, and comfortable. She wore cute fitted skinny jeans, and an American Apparel type top. She traveled in for the shoot the night before. Brittany is a full time student, business owner, and model. Her spirit, and smile just light up the room. 'Talking Heads' band was our music of choice to start, followed by 'Maxwell'. Despite the freezing code, Brittany gave us some genuine laughs! To achieve this look, I used Mac's limited addition Hello Kitty smoky eye palette. Laura Mercier Stick foundation was applied very lightly, to give that flawless look.. I had so much fun!!!!! How to get, "Come Hither Eyes"..
How to make your day even more memorable!